If you haven’t already heard about it, PAD is peripheral artery disease, and it’s not uncommon, especially when people get older. According statistics from the US Centers for Disease Control and Prevention (CDC), more than eight million American have PAD, including 12 percent to 20 percent of people 60 and over. 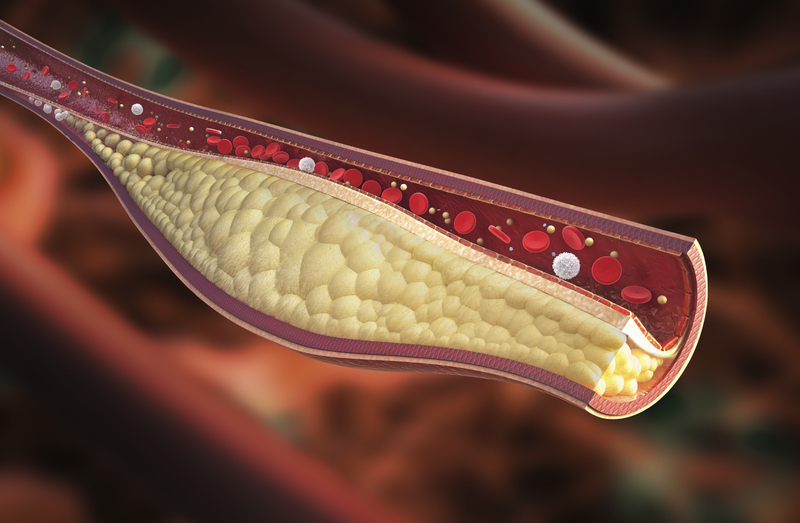 PAD is disease that affects the blood vessels located outside of the heart, most often those in the legs; and like coronary artery disease, PAD is generally caused by the build-up of fatty plaque in the arteries. This condition is called atherosclerosis. Smoking – current or a history of smoking – high blood pressure, high cholesterol and a sedentary lifestyle are all factors that can lead to atherosclerosis and, thus, PAD. People with diabetes have a higher risk for PAD as well. Blood flow in the lower legs is the big concern with PAD, and one of the main tests used to measure it is called the ankle-brachial index or ABI. It’s a simple, noninvasive, painless test that takes only a few minutes to perform. It compares the blood pressure reading in the ankle with the reading in the arm. A lower BP and pain in the ankle is an indication of PAD in the leg. Once the doctor has the results of the ABI, he or she might use other tests to confirm blocked blood flow in the leg arteries. Other tests that might be used include ultrasound or angiography, during which a contrast agent is injected into the artery or arteries to be studied, and then images are taken that display blood flow and show the blockages clearly. Undiagnosed and untreated, PAD can lead to some nasty problems. Legs with blocked arteries and wounds that won’t heal are prone to infections that are difficult to treat. This can lead to gangrene and possible limb amputation. Also, people with PAD are at increased risk for coronary artery disease, heart attack and stroke. Don’t fret if any of this sounds like you. There are things you can do to treat PAD or lower your risk of developing it. The best treatment for PAD is regular physical activity, which might sound counter-productive for a person who can’t walk without pain. Actually, gradually increasing periods of activity alternating with rest is effective in reducing symptoms. That’s because exercise increases the formation of collateral blood vessels that can compensate for the arteries that are blocked, improving overall blood flow. Making some other lifestyle changes is also helpful, like stopping smoking and adopting a diet low in saturated and trans fats and cholesterol, with plenty of fruits and vegetables. Your doctor might also prescribe a medication to help control your blood pressure or lower your cholesterol. In severe cases of PAD, surgery might be necessary to unclog or bypass blocked arteries. Don’t just chalk up the cramps when you walk to the aches and pains of getting older. If you have any symptoms of PAD, be on the safe side. Have them checked out.